Less is more with MUFE's version. I've been dabbing a little on the apples of my cheeks, blending with clean fingertips and building up coverage a bit at a time. It does fade by the time 5pm rolls around, but the mirror compact is easy to tote around and makes touch-ups a breeze. Another tip? 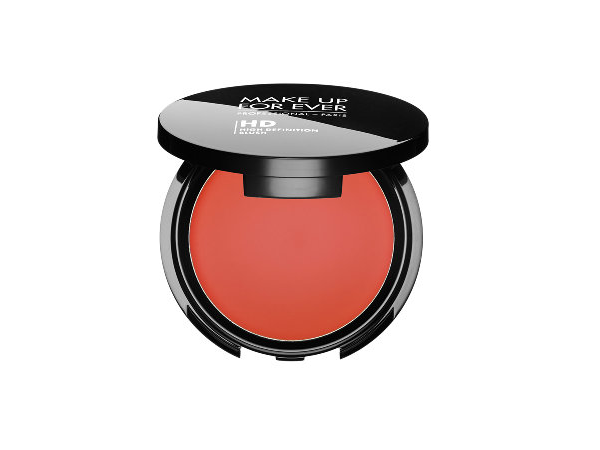 Opt for a brighter shade like I did with 410 Coral to warm up winter-pale complexions. You may never go back to powder formulas after the HD Blush, which prompts the question: What to do with that big fluffy blush brush? Looks like a nice blush! I'll have to check it out.